Pixel Dust Photo Art: Something New For Photo Art Friday! Something New For Photo Art Friday! Since the next Photo Art Friday is less than two weeks away, I've been thinking a bit about it. I'm sure you've noticed that participation has dropped off since I switched the link-up from once a week to once a month. That's to be expected as it is harder to keep track of a monthly meme than a weekly one. But why not see if we can re-invigorate our photo-art showcase, while still keeping it as a monthly affair. Since the inception of Photo Art Friday I have always wanted to keep it a non-competitive link-up. However, I am now wondering if it might be a refreshing shot in the arm to vote for our favorite piece of photo-art for each month. "Favorite" not "the best" piece of photo art, that is. I think we can agree there is no "best", but we can always find a favorite that appeals to our personal aesthetic sensibilities, that makes us smile, or that stirs some special memory. So ... beginning with the next Photo Art Friday on March 7th, I will activate the vote button allowing us each one vote to pick a favorite. Then ... to make it even a little more interesting, whoever receives the most "favorite" votes will receive a little "prize". 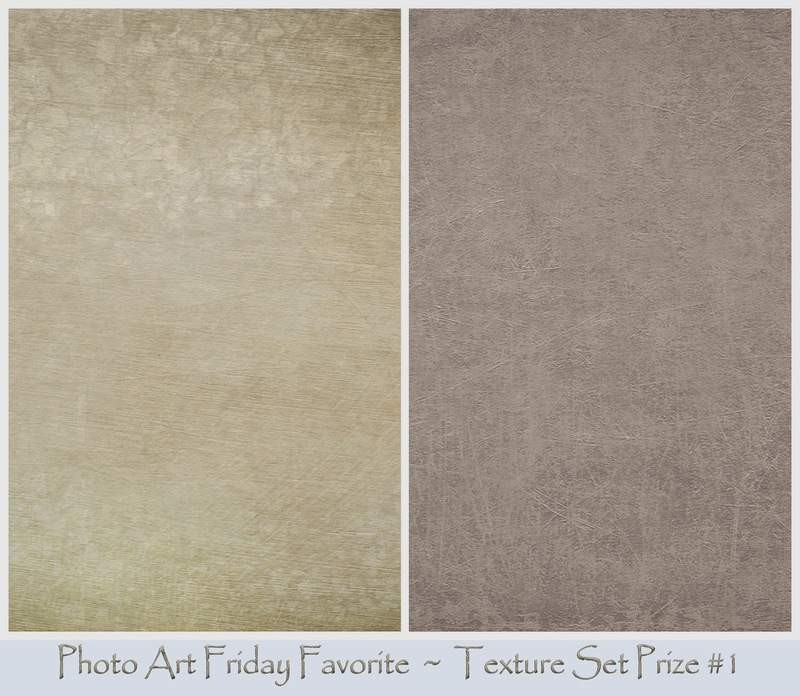 That person will be invited to choose one small set of my textures from the three small sets I have prepared exclusively for this purpose. 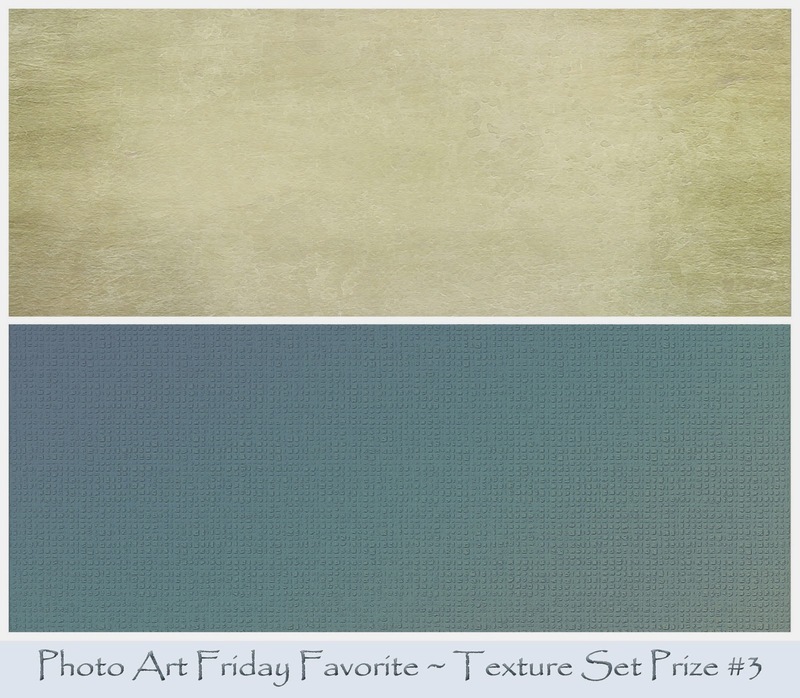 I will announce the top three "favorite" pieces of photo art for each month and the one with the most "favs" can email me telling me which of the three sets of texure sets on the PAF FAV page (under the header) they would like to receive as a prize and I will send it off to them. The piece of photo art you vote for does not have to be the one you think is edited the best, nor the one that looks the most 'professional', nor the 'prettiest' - it just has to be the one that caught your attention the most for that month - your fav. All pieces of photo art, not just those who follow the monthly theme challenge, are eligible to receive your votes. 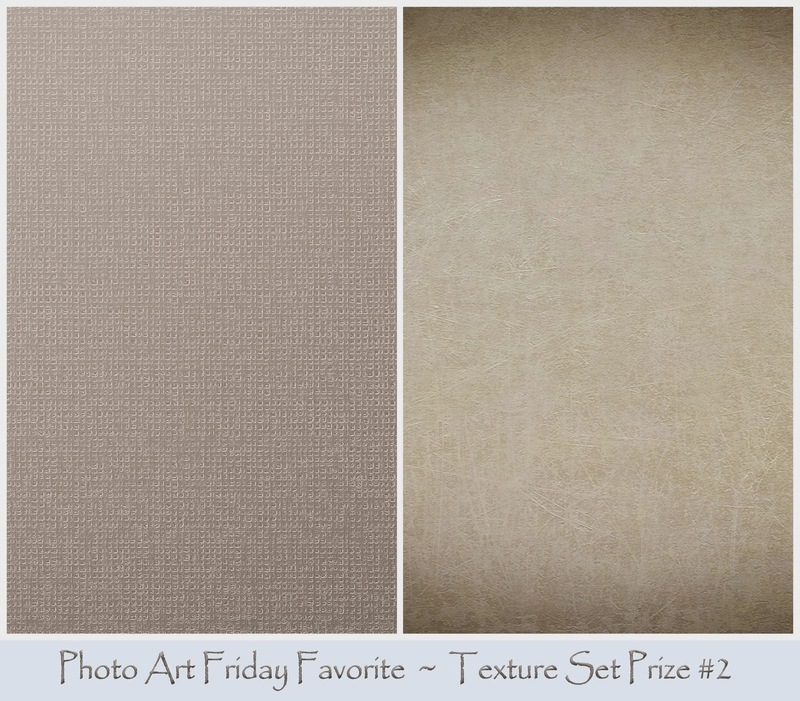 If over a period of time, once one person has received the favorite award three times and has all three texture set prizes, they will have to understand that the piece of photo art that received the second most votes will be eligible to select a prize. We have to spread the 'fav' love around, right? For this FAV vote to work, it will require that you come back after all of the submissions are linked up to select your favorite. Although Inlinkz does not specify, I'm sure the votes are anonymous. A page called "PAF FAV" has been added to the blog with all this information for you to refer to. The March edition of PAF is Friday, March 7th and the optional theme/challenge is ABSTRACT FLOWER(S). Hope you will share your thoughts about this new voting option for PAF! And ... if you are in the market for some unique textures, do check out my Mini-Sets Texture Shoppe! Sounds like fun, Bonnie! Beautiful "little" prizes you have created for us - you are so generous! Great idea Bonnie, and will have to start working on this abstract version! Hugs from Texas! Fun idea Bonnie. I've been busy playing with other things these days so I haven't been playing along, but when I can I do pop in to see what's been shared. I do keep checking your challenges so maybe if the photo art muse catches up with me I'll be ready to jump back in. I hope I'll be able to paticipate. Very nice idea, Thanks for sharing your idea to us. Love it. Sounds like a lot of fun…so excited to participate!